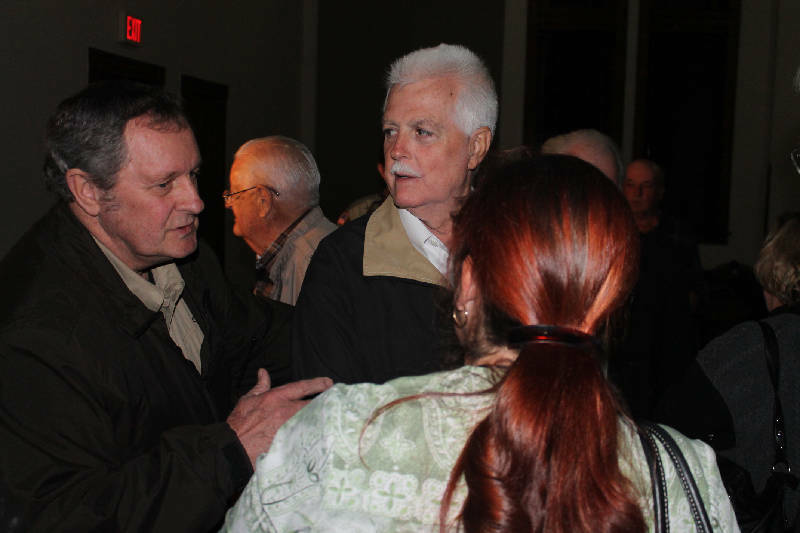 A Rhea County Circuit Court jury on Tuesday evening found former state Rep. Jim Cobb, R-Spring City, not guilty of assaulting a woman in a wheelchair who supported Cobb's opponent in the Aug. 2 primary election. "The verdict speaks for itself," said Cobb, who previously dismissed the misdemeanor assault charge as "politically motivated." The decision came at 6:40 p.m. after about an hour's deliberation at the historic Rhea County Courthouse in downtown Dayton, Tenn.
Cobb turned himself in to the county jail on Oct. 3 after a grand jury indicted him. According to a Rhea County Sheriff's Office report, Goins was sitting in her wheelchair at Frazier Elementary School in Dayton, campaigning for Cobb's opponent, Ron Travis, when Cobb got out of his pickup truck and attempted to knock down a Travis sign. Goins feared "imminent bodily injury," the report stated, and thought Cobb was going to hit her after he raised his hand. Cobb, meanwhile, said there was no contact and not even harsh words directed toward Goins. Jury selection began around 9 a.m., and the trial started at 11 a.m. with Judge Buddy Perry presiding. Some 40 people remained until the trial's end, including about a dozen residents from the Senior Lighthouse Center in Spring City. Cobb was jovial and in good spirits as he waited in the courtroom for the verdict. "He's done more to help us than anybody else," John Martin said of Cobb. "[The trial] was a waste of taxpayers' money," said his wife, Ellen Martin. One highlight was testimony from Darin Martinelli, a key witness for the state, who spoke remotely from California using Skype, an Internet service that allows for video conferencing. Circuit Court Clerk Jamie Holloway said that using Skype saved Rhea County about $2,000 it would have had to pay for Martinelli's travel and lodging expenses. Cobb lost to Travis in the Aug. 2 GOP primary. Travis went on to win the general election where he was unnopposed.